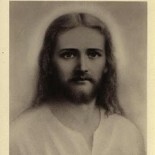 SANANDA ESU IMMANUEL (aka 'Jesus' from the bible) | Collected messages from numerous sources, of our returned Master Teacher. The cyclic time is at hand; no more, no less. What is told unto you that is new? The soul wants to live! She wants to show herself to you through your emotions, dreams and desires, light and dark, ‘good’ and ‘bad’. Yuletide Yule peace A time for contemplation and reflection During this time, I Sananda, am with you extra much. Sananda; You hold the light! I am Sananda and I love you. I know of your paths, I know of every little step you take. Your beautiful third eye, your clairvoyant eye, your all-seeing eye will now begin to open, and you are able to see most clearly your pathway and your destiny.